Twitter is a real-time news platform, a social scene, and a forum for anonymous harassment and abuse. One of these things is not like the others, so the company is making changes to fix the process for reporting and blocking harassers. 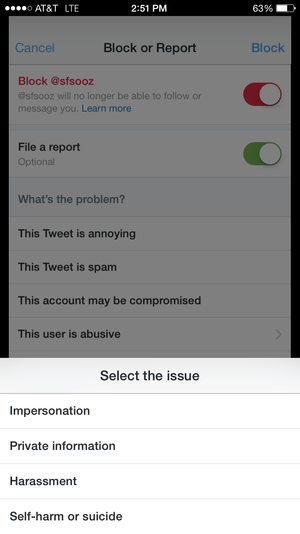 Twitter is rolling out streamlined in-app abuse reports. The new tools won’t make life easier for prominent Twitter users who experience a daily onslaught of abuse, but they simplify the process of reporting abusive tweets within the Twitter app and managing block lists on Twitter’s desktop site. Now you can quickly tap through an abuse report to file a complaint on your phone, proof that Twitter has come a long way since first adding the ability to report abuse in summer 2013. You can also see who you’ve blocked over the years, though there’s still no way to block or report harassers en masse. Twitter also has to respond to each abuse report, which in the past has taken days or even weeks. It’s unclear if that process will be expedited. Twitter said back in August that it planned to reevaluate its policies and processes around harassment after Robin Williams’s daughter Zelda was attacked on the network in the wake of her father’s suicide. High-profile incidents of harassment have only escalated since that promise (see: harassment, intimidation, and threats toward female video-game critics). Tuesday’s changes aren’t exactly the radical steps Twitter needs to take to create a safe space, but a blog post announcing the small moves indicated more to come. Tuesday’s changes are rolling out slowly but will take effect for all users in a few weeks. I’m more interested in seeing the results of Women, Action, & the Media’s Twitter harassment reporting program, which recently wrapped up the first phase of its pilot. 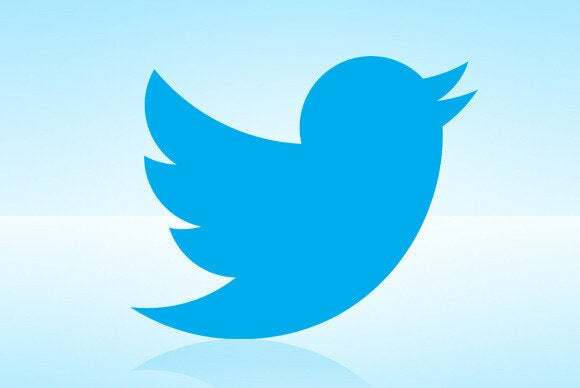 The group collected about 700 abuse reports over the course of three weeks, which it plans to share with Twitter to help develop an action plan. WAM’s data could reveal how harassers operate on the platform and where Twitter is falling short in its response.